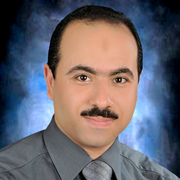 Associate professor of Internal Medicine, Department of Internal Medicine and Infectious Diseases, Faculty of Veterinary Medicine, Mansoura University In 2009, 2010, 2012. 2103, 2014 and 2015, I have worked as guest Scientist at Friedrich-Loeffler-Institut, Federal Research Institute for Animal Health, Institute of Bacterial Infections and Zoonoses, Jena, Germany. In 2015, I have a trained course at FLI Insel Riems, Germany.